Microsoft Active Directory: Questions and Answers for Interview. Microsoft's new version of Email and collaboration application, Exchange Server 2013 is loaded with a bunch of new technology, features and services of Exchange Server product versions. 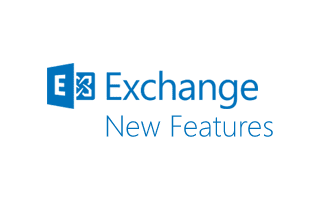 This post is a quick look into the new features and changes on Exchange Server 2013 comparing to old Exchange versions. This is the part of series, 'Active Directory Interview Questions and Answers'. You can find the Questions page and previous parts of answers from the below links. If you directly landing to this page, Please find the link below to go to questions page. Hope this series will help you to prepare and succeed the interview. Here are the collection of some very useful command line tools to troubleshoot Active Directory related problems. DC not advertising, AD object update, Bind value, KCC detecting problem with DP, trust issue, Replication, time sync, PDC latency. The following table lists some of the differences between the online and ofﬂine P2V conversions. How to Perform a Configuration-Only Export of Virtual Machine on Windows Hyper-V Server 2008 R2? Many thought that Configuration-Only Export of VM is not anymore in new Hyper-V Server 2008 R2. In fact it has gone from UI but it can be done through PowerShell script. The ability to do a configuration-only export of a VM is available via SCVMM R2, However, if you are not using SCVMM, you can script against that API. Here are a couple of sample scripts (VBScript) for doing the configuration-only export of a VM and for importing that VM.